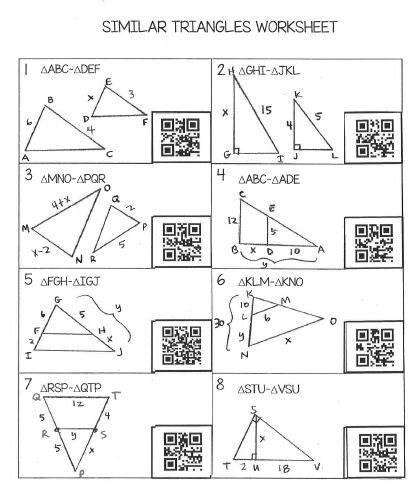 Similar Triangles Worksheet with QR Codes - FREE! In the spirit of sharing more about how I use QR Codes in the classroom, I have posted a Freebie worksheet in my TPT store which allows students to practice finding missing sides in similar triangles. This worksheet has 8 problems and allows students to get the answer immediately by scanning the QR code with their smart device. If you download this worksheet and give it a try, let me know how it works - I would certainly appreciate your feedback. My sister is now teaching 4th grade. She's a first year teacher, so I thought I might help her out with some math lessons and games. I am pretty happy with this first one - it is a scavenger hunt that involves adding fractions. Students must add fractions with like denominators and then be sure that their answer is in simplest mixed number format. In this set there are 8 cards. Students start anywhere and then solve the problem on their card. They then hunt around the room until they find the answer to that card. They then solve that problem and then hunt to find the answer…play continues until they end where they started. Fun practice that allows the students to move around and practice at the same time! It's the start of the second semester and that means the beginning of integrals in Calculus AB! If the beginning of second semester means as much to do at your school as it does at mine, maybe you could use a little help with some new materials that you don't have to create yourself! Check out the round up of ideas below. 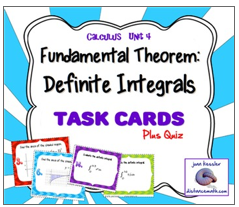 2) Next up...some task cards from Joan Kessler that could be used to review with students once you have introduced the concept of finding the area between the curve and the x-axis. 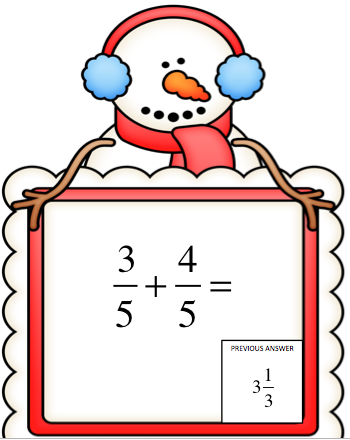 3) This looks fun - try this Calculus Cook Book Activity from The Math Lab. Use definite integrals to transfer all the numbers in a recipe into a calculus problem. Fun! 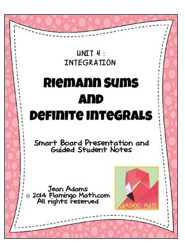 3) Finally - do you need an entire lesson for teaching Riemann Sums and Definite Integrals? Try this from Jean Adams! It is the second day of no school here in Illinois. 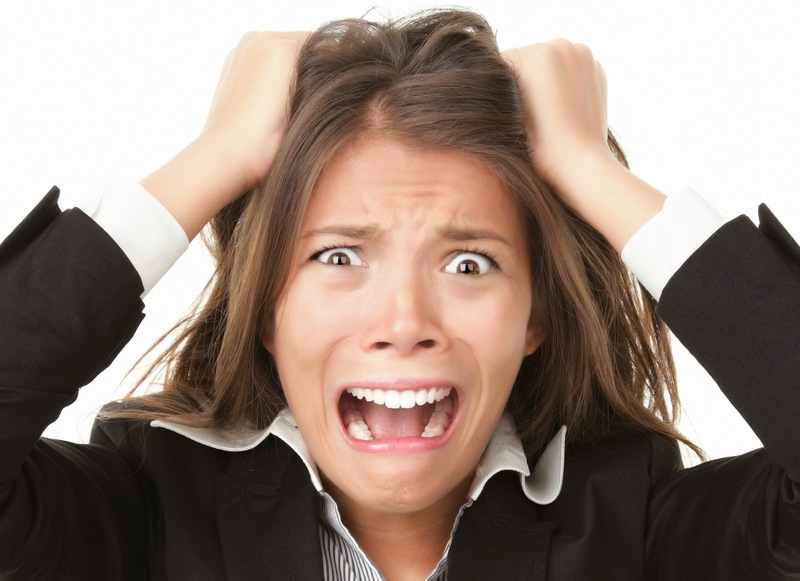 It is -30˚ wind chill and many schools cancelled today. 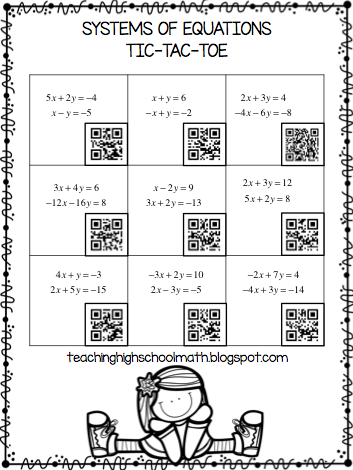 So, I thought I would share one way that you could use QR Codes in the classroom. 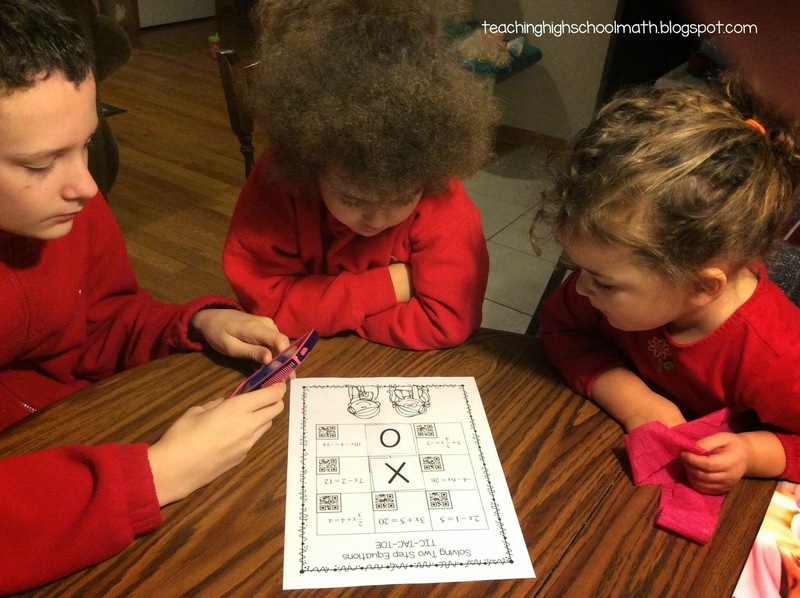 This particular activity is good for a math center or for students to play in partners. Not every student participating needs an electronic device because of the way the game is played. If you are going to use this as a math center, I recommend laminating the game board and the X's and O's. That way you can use the same board over and over. If you're really ambitious maybe you could put a little square of velcro on the back of the X's and O's and in each corner of the game board to keep them in place. This game follows the traditional tic-tac-toe rules. Students choose a square - each square has a problem in it. The student works the problem and then uses his or her electronic device to scan the QR Code. The QR Codes leads the student to text that will show the correct answer. If they get the answer correct, they get the square and place an X or O on the square. If they get the answer incorrect, the other player gets the square. 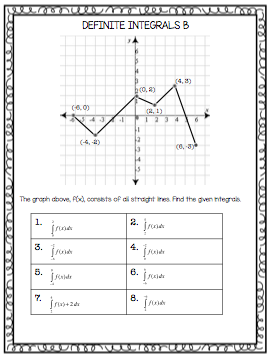 Here is an example of my Freebie of this activity - Solving Systems of Equations.